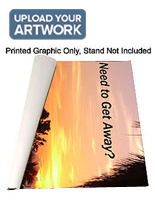 More Print Option Options Available! 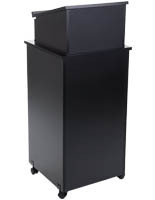 Looking for used podiums for sale? 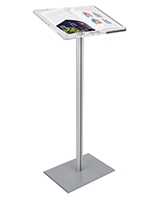 Why buy previously owned merchandise when you can have a brand new, professional quality speaking stands or lecterns at the same - or lower - prices? 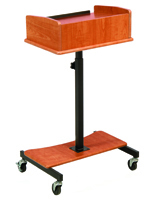 When buying used podiums buyers face a limited selection; but our inventory of economy speaking and presentation stands for sale from $150 to $250 spans all styles, sizes, and finishes. 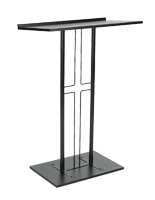 Discounted models include widely popular metal truss designs, trending sit-stand adjustable speaker's fixtures, classic reading stands, and even solid steel pulpits. 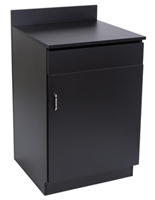 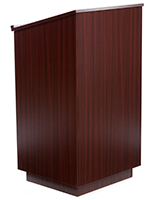 Special price lecterns, unlike used podiums, are for sale in brand new quality with a variety of configuration options available to customize most models. 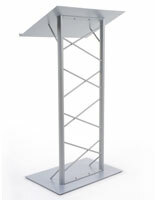 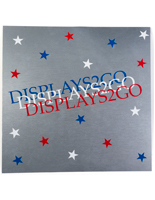 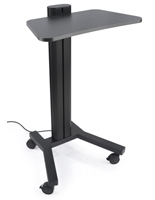 What is the difference between a used podium for sale and a discount price sale lectern from Podiums2go? 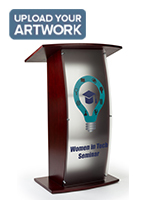 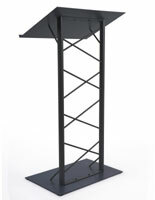 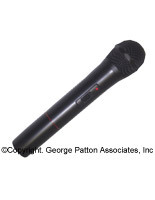 Cheap podiums for sale are brand new speaking fixtures offered at significant savings from regular pricing. 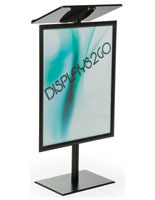 Our standard prices reflect our buying power — we buy in bulk so that our customers don't have to. 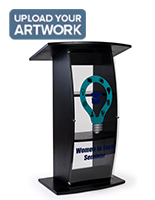 Podiums2go offers wholesale pricing on every lectern or presentation fixture as a matter of course, allowing us to reduce the costs to our customers. 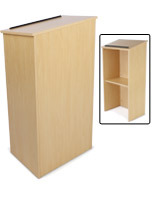 Cheap used podiums for sale by other vendors are sometimes more "bottom of the barrel" than our "cream of the crop." 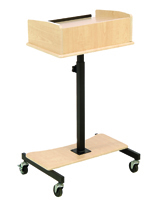 Cheap broken down lecterns mean something very different when you're comparing high quality fixtures to previously owned. 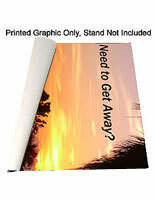 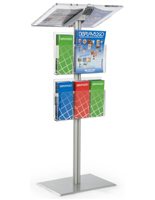 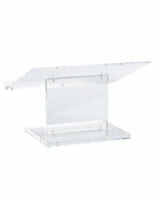 We ship many economy presentation stands knocked down, meaning that they require assembly before use. 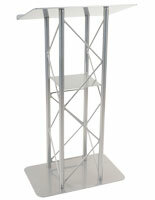 Broken down used podiums, on the other hand, might just be broken! 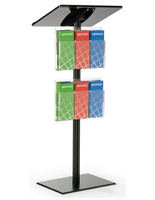 Economy collapsible speaking fixtures from our huge in-stock inventory are designed to be easy to set up and break down as needed, making them a great choice for trade shows, conferences, or other off-site events. 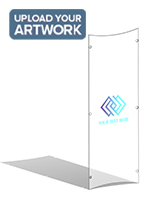 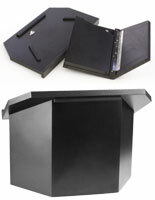 Many of these folding tradeshow podiums have a pop-up design designed to collapse and fit into an included carrying case. 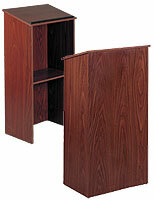 Used collapsible podiums sometimes just, well, collapse. 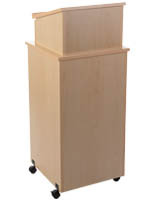 Podiums and lecterns come in a wide variety of configurations, to match the wide variety of uses to which they will be put and locations in which they will be used. 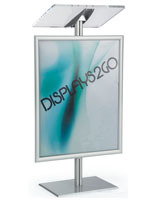 For many businesses, speaking and presentation furniture is a big line item that can take up a significant amount of the budget. 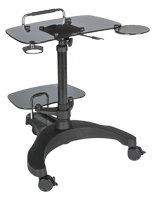 It makes good financial sense to get the best value possible, but that needs to be balanced with also getting the best quality available at the price. Buying a used pulpit or lectern can save money in the short term, but turn into an annual purchase as things break down or fall apart. 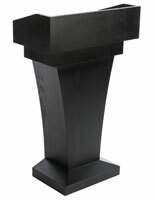 Our high quality, low-price podiums, like the models shown here for sale from $150 to $250, are top-grade, brand new speaking fixtures and AV carts designed to withstand heavy use in commercial and professional environments, at trade shows, in educational and religious institutions and houses of worship. 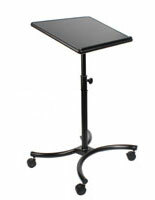 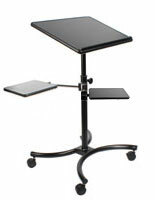 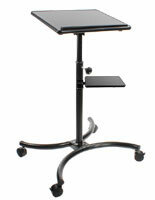 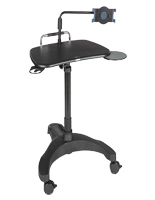 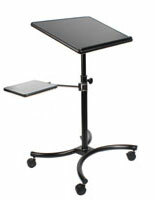 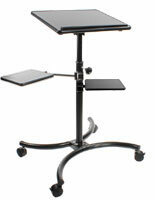 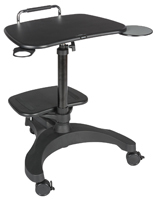 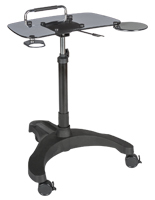 Shopping for presentation and lecture stands can be time-consuming and difficult. 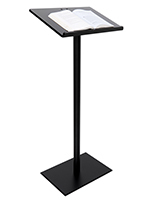 Our easy to use site allows customers to browse by style, material, color, usage, and price-point in order to make finding the right lectern as easy as possible.